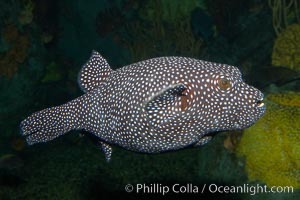 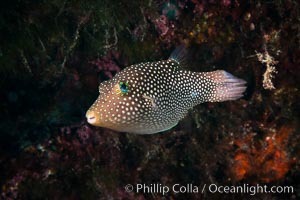 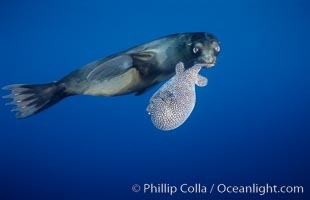 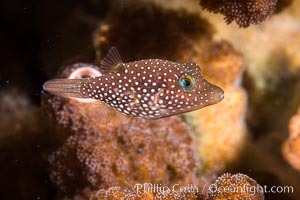 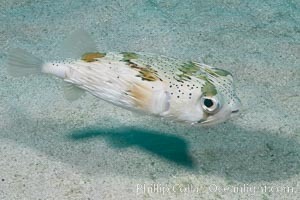 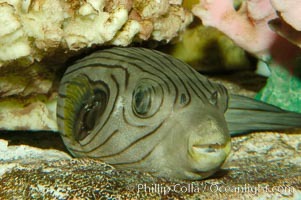 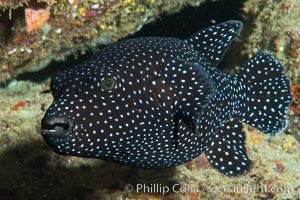 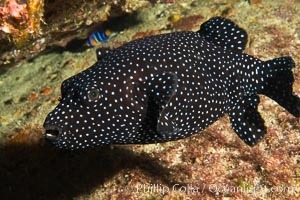 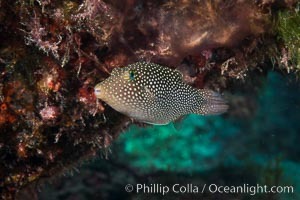 Guineafowl puffer fish, black phase. 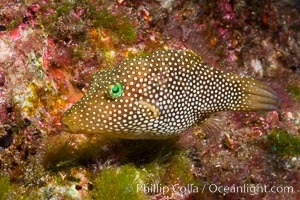 Spotted sharpnose puffer fish, Sea of Cortez, Baja California, Mexico, Canthigaster punctatissima. 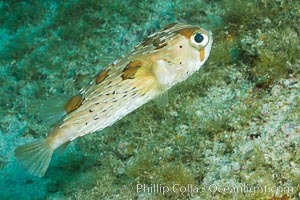 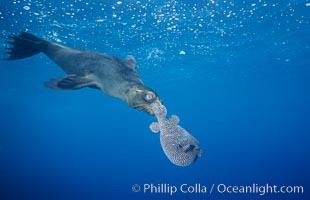 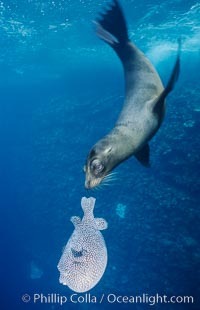 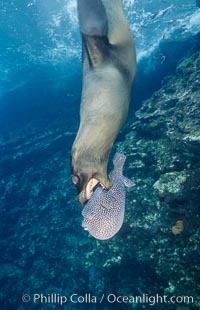 Long-spine porcupine fish, Sea of Cortez, Baja California, Mexico. 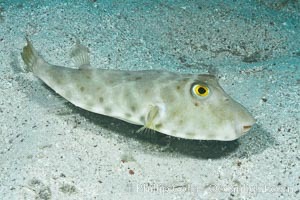 Spotted sharpnose puffer fish, Sea of Cortez, Baja California, Mexico. 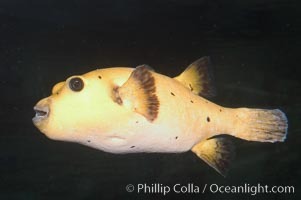 Bullseye puffer fish, Sea of Cortez, Baja California, Mexico.